David Hasselhoff stopped by for a chat and told Dom about his upcoming cruise. Dom interviewed David Hasselhoff and got a very special invite for one of the team. Watch our video above to find out what happened next. 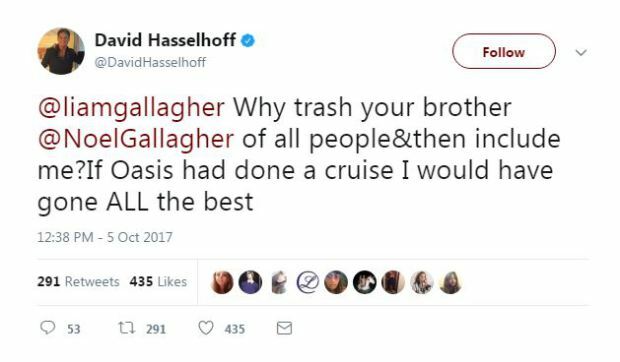 Meanwhile, the Knight Rider star has hit out at Liam Gallagher for using him to insult his brother, Noel.